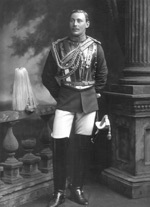 Lieutenant, later Captain Rt. Hon. Frederick Edward Guest (1875-1937). 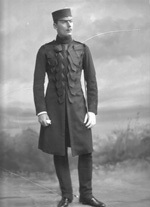 Sitter: Lieutenant, later Captain Rt. Hon. Frederick Edward Guest (1875-1937). 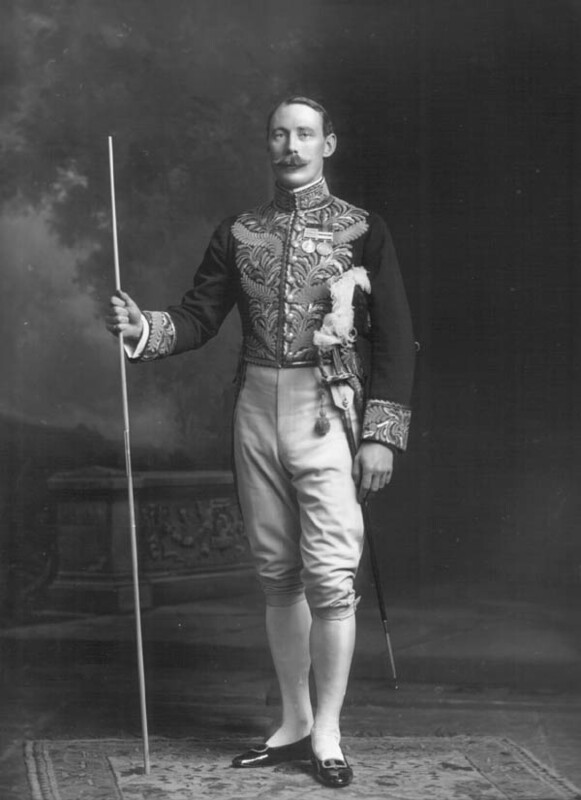 Biog: 3rd son of 1st Baron Wimborne; Captain 1st Life Guards; served White Nile, 1900; South Africa, 1901-02; European War, 1914-17; M.P (L) East Dorset, 1911-22; Stroud Division of Gloucester, 1923-24; Bristol North, 1924-29; P.C 1920; Secretary of State for Air, 1921-22; joined Conservative Party, 1930. 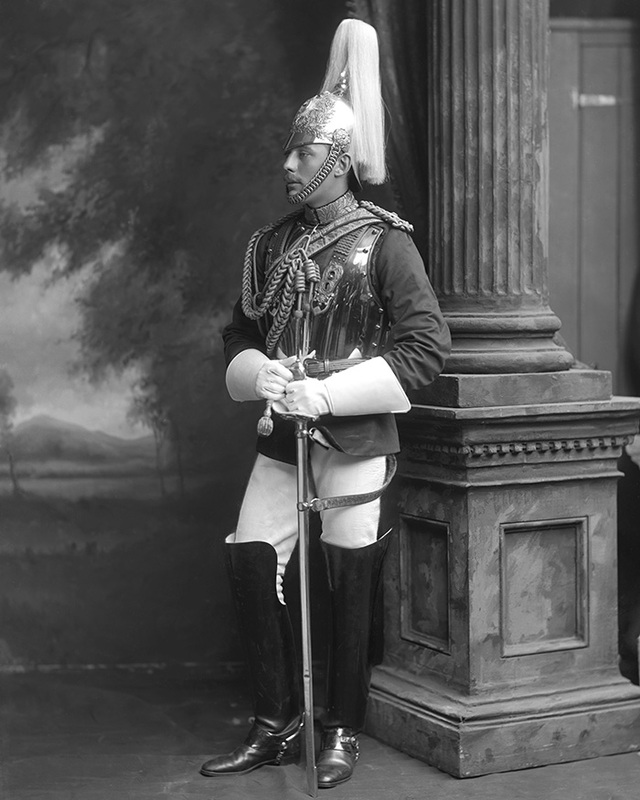 Costume: Full Dress uniform (Mounted Review Order), Lieutenant, 1st Life Guards. Furniture & Props: Painted backdrop; column; garden balustrade. 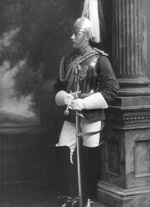 Biog: Burkes' Peerage; Who's Who; The Army List, 1899; The Times, 29 April 1937, p 18d.